Welcome to Day #3 of Launch Week here at katiemreid.com! What a joy it is to share this new space with you and highlight some key features of this site. If you aren’t familiar with our family’s giving initiative, head on over to the Resource tab for more information about Extension 26. Let’s adopt generosity as we help support this month’s Extension 26 recipients. In the About section you will discover that we adopted our youngest son. We want to adopt again and are praying for a baby girl to join our family. Will you join us in praying for God’s will to be done? If you know of someone wanting to make an adoption plan would you please keep our family in mind? Thank you! As a part of Extension 26, we often showcase ministries that care for orphans and rally around adoption. 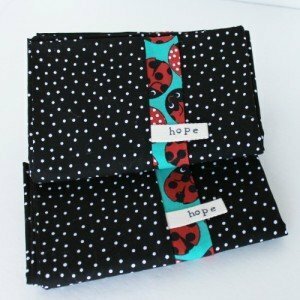 I am excited that my dear friend Jen of Adopting Nations has readily agreed to give away a set of adorable ladybug pillowcases to one of you. Enter below for a chance to win! P.S. I hope you are enjoying the website tour. If you haven’t already be sure to go enter the other giveaways from the last two days. I’m linking up with Jennifer for #TellHisStory and Kristin for Three Word Wednesday. P.P.S In light of Ann and Jennifer’s posts, I wanted to make sure you have the opportunity to give today. Head on over and see how you can fight against the darkness of terrorism with prayer, dollars and your voice. New Look and Upgrade! Kudos to you. Meredith- thank you! Been thinking about you, hope all is well friend. Love your new home. I am a huge advocate of adoption – open adoption would be difficult for me I think. Just thinking out loud! Thank you Susan! We felt the same way but, even though it’s hard at times, we are so thankful to give this gift to our son- in answering questions he will have. It’s probably not for everyone and not always possible, but we have grown a lot through this process. I think you explained this dance beautifully Katie. We are children learning how to best move to the rhythm of God’s grace. I completely admire your humility as you dance and learn. 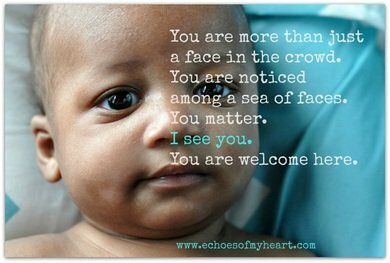 I cheer your open adoption relationship and I encourage all women in adoption! Thank you for being such a proponent! Kelly- Thank you. I like what you said, “we are children learning how to best move to the rhythm of God’s grace”. Thank you, once again, for sharing your heart. The poem is great! Just wanted to let you know that I found out this week that my birthstone – Opal – means Hope! I am blessed by that. God continue to bless you richly!